PT XL Axiata Tbk - XL Axiata (IDX:EXCL, listed on Indonesia Stock Exchange since 2005) is a major telecommunication (Telco) operator in Indonesia. XL Axiata running business in providing telecommunication, telecommunication network and multimedia services. XL Axiata is positioned inside the top three of Indonesian cellular operators. As at the end of December 2015, XL Axiata has 42.1 million active subsribers, both postpaid and prepaid subscribers. XL Axiata is a local subsidiary company of Axiata Group Berhad (Axiata Group), a leading telecommunication service company from Malaysia. As of December 2015, Axiata Group is the majority shareholder at PT XL Axiata Tbk, with 66.4% of ownership through Axiata Investments (Indonesia) Sdn. Bhd and the rest is owned by the public with 33.6% shares. In term of financial performance, XL Axiata is running well in the first half of 2016 (1H6). 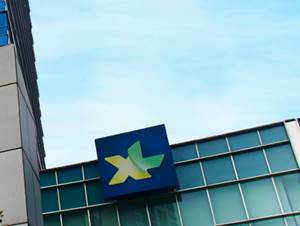 According to PT XL Axiata Tbk 1H16 Audited Report as cited by JobsCDC.com, XL Axiata booked total operating profit of Rp 908,358 millions in 1H16. This figures or equal to an increase of around 72.31% compared to the previous year (1H15) of Rp 527,143 million. Technical background with minimum 2 years experience in the field of IT or Telecommunication industry. Preferably for those who have experience in change management, project management and/or NOC/FOP activity. Familiar with telecommunication and IT service flow (e.q. voice, SMS, Data, Vas, etc). Familiar with ITIL framework or Tele Management (TL) framework. Strong understanding of Capability Maturity Model Integration (CCMI) will be highly prioritized. Minimum S1 majoring in Electrical Engineering, Telecommunication Engineering, Informaton System, Information Technology. Minimum 3 years of experience in Datawarehose/Datamart. The candidate with +2 years experience in ETL tools will be highly prioritized. The candidate with prior experience on project management is preferred. Have a good knowledge (advance/expert) in RDBMS (Teradata or Oracle) and SQL concept. Have a good knowledge in campaign management system tools. Good business acumen, strong knowledge of telecommunication market and business process. Minimum S1 majoring in Electrical Engineering, Computer Science, Information System. The candidate with prior experience in web architecture is preferred. Minimum 1 year of experience in the design and development of web and mobile applications on web portals, frameworks and mobile application development platforms (IBM, Oracle, SAP, Kony, Phone gap, Appccelerator, Groory on Grails or any similar. Have deep experience of building mobile applications is preferred. Possess related certification in industry recognized integration. Strong knowledge of building native applications on IOS using Objective-C and XCODE and on Androin using Java/Android SDK. Also of building hybrid mobile applications. The candidate with additional experience on Blackberry and Windows mobile application is preferred. Strong knowledge on mobile UI/UX design interface using editors like Eclipse, IntelliJ, ForeUI etc and CMS like Joomla, Drupal, etc. Knowledge on building MBaaS servces based on programming languages like JMS, Java, PHP etc. Exposing as Webservice or JSON/REST. Previous experience in MADP from IBM, Kony, Pegasus, Phonegap, Xamarin etc. Strong knowledge of Database Management (SQL Server and Oracle) and different Unix flavours. The candidate with prior experience in implementing applications on cloud is preferred. Strong knowledge of network elements like firewalls, switches, GGSN, DMZ etc and of middleware servuces integration is preferred. The candidate with prior experience in Service Oriented Architecture (SOA) is preferred. Minimum S1, preferably majoring in Information Technology or Telecommunication. Have 5+ years of experience in complex system integration in the field of application, including work experiece with projects with major telecommunication operator. Have strong knowledge of Data Warehouse and Business Intelligence area. Have strong knowledge of Big Data Platform (hove, spark, mapR, etc.). Strong knowledge and good understanding of software development technologies and interface development and integration (Java, C, HTML). Strong knowledge of telecommunication service provider back office systems and interfaces, including billing, rating and mediation. Have a good skill (advanced level) of ETL Development Tools. JobsCDC.com now available on android device. Download now on Google Play here. Please be aware of recruitment fraud. The entire stage of this selection process is free of charge. PT XL Axiata Tbk - Recruitment Analyst, Engineer, Specialist XL Axiata October 2016 will never ask for fees or upfront payments for any purposes during the recruitment process such as transportation and accommodation.